South Thanet MP, Craig Mackinlay, has joined residents at a Poppy Coffee Morning at the Anchor Pub in Wingham. 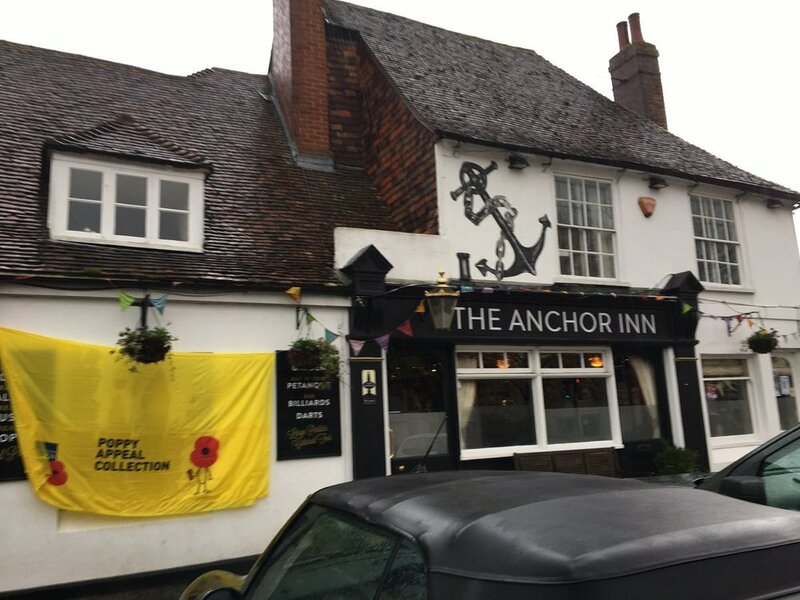 The Anchor’s Landlords, Kevin and Michelle Abbott, very kindly gave locals the run of the pub and the organiser, Lynne Connolly, kept supporters hydrated by serving tea and coffee behind the bar. It was very much a village activity with all the shops and restaurants giving prizes for the raffle. They also had a cake stall and a bric-a-brac stall. Last year’s event raised over £500 towards Wingham’s Poppy Appeal which totalled over £4000. “I was very pleased to be able to support Wingham’s Poppy Coffee Morning, which was once again very well supported by local residents. “Lynne Connolly and the brilliant Poppy Team did a fantastic job organising the event on behalf of the village, and my thanks also must go to Kevin and Michelle Abbott for allowing us to use the Anchor Pub. “The weather wasn’t kind - in fact it poured down but the very welcoming log fire soon helped to dry people out. “A special bonus this year was that renowned local artist, Fred Fielder, had donated for auction, two of his framed paintings. Many thanks to Fred. “Our Armed Forces personnel and their families are, rightly, held in very high regard in our country.